Jeff is a senior practitioner in Givens Pursley's natural resources, environmental and energy group. Jeff practices chiefly in the areas of water rights, environmental law, endangered species, wetlands, mining and public lands. 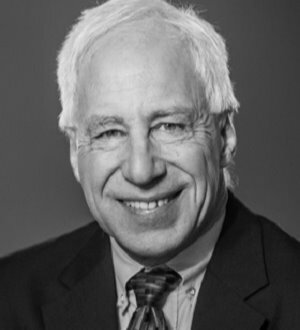 He has been active on behalf of many clients in the Snake River Basin water rights adjudication since it began in 1987. He has negotiated and helped fashion settlements with Indian Tribes and the Federal Government concerning reserved water rights claims. He has argued several cases in the Idaho Supreme Court on water law issues. He frequently appears before the Idaho Department of Water Resources on behalf of clients, including trying contested cases pertaining to water rights applications and transfers. In 2013, the States of Kansas, Nebraska and Colorado appointed Jeff as Arbitrator in three disputes pending before the U.S. Supreme Court and pertaining to the waters of the Republican River, an interstate stream. Jeff has presided over evidentiary hearings in these matters and has issued a decision in the first two. A decision in the third will be issued in May 2014. Jeff has authored many papers on water and environmental law topics, delivering them as lectures or publishing them as parts of educational materials. He is co-author (with Mike Creamer and Chris Meyer) of the Idaho Water Law Handbook. He also has authored or co-authored several law review articles, including: Fereday and Creamer, Swan Falls in 3-D: A New Look at the Historical, Legal and Practical Dimensions of Idaho’s Biggest Water Rights Controversy, 28 Idaho L. Rev. 573 (1991); and Fereday and Creamer, The Maximum Use Doctrine and its Relevance to Water Rights Administration in Idaho’s Lower Boise River Basin, 47 Idaho L. Rev. 67 (2010). Lewis & Clark College (Northwestern), J.D.